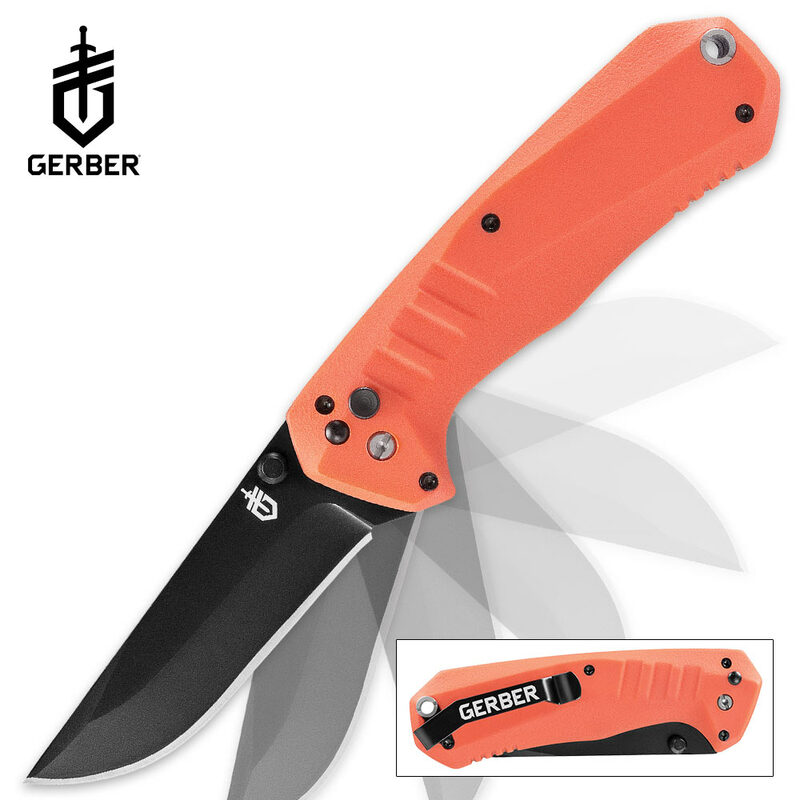 Gerber Haul Assisted Opening Pocket Knife - Orange | BUDK.com - Knives & Swords At The Lowest Prices! 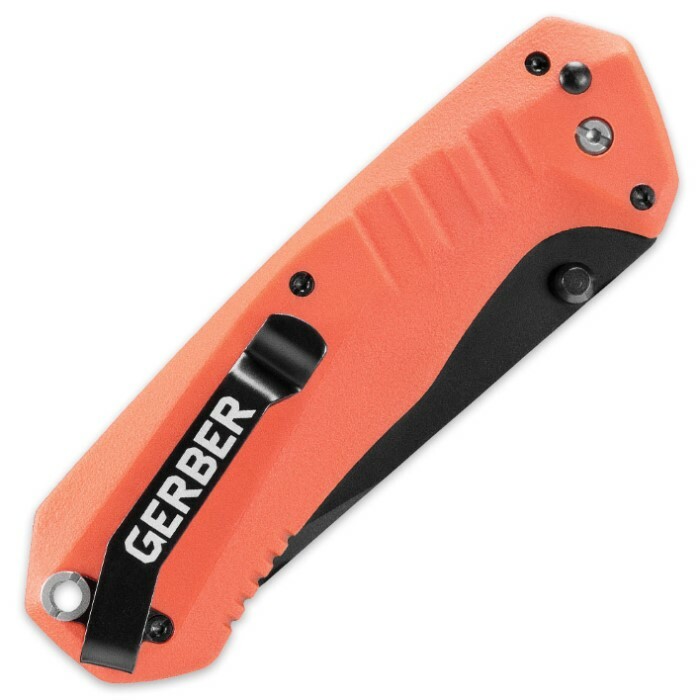 The Gerber Haul Assisted Opening Pocket Knife is a modern, stylized knife that springs into action via the dual thumbstuds. Once open, the cross-bolt safety feature secures the blade in place - an easy to operate plunge lock disengages the blade and keeps it safely stowed when not in use. The 3” 5Cr15MoV stainless steel blade is sharp and up to any cutting task. The orange glass filled nylon handle is textured for a secure grip and features a lanyard hole.